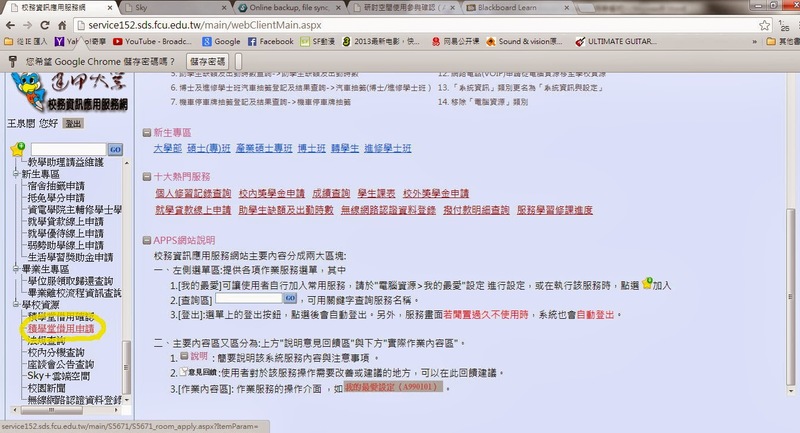 Feng Chia University is always coming up with new ways to help their students learn more and do better work. This semester, FCU has added four brand-new online communications functions for teachers and students, and in this article we will introduce two of them – the online meeting room reservation system, and the SKY+ cloud system. We all know that university life if different from high school life in many ways. High school students may spend more time in the classroom, but university students have to do a lot more reports and presentations. Therefore, group discussion space is very important for FCU students. 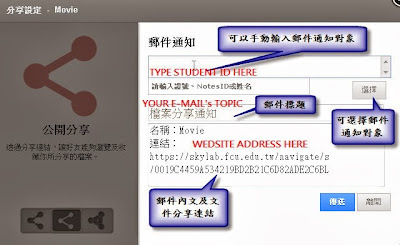 There is a new FCU APP that allows students to make online reservation for the meeting rooms in 人言 building. The reservation system is easy and quick. Of course, getting together with your teammates and discussing your project is just the first step in doing a great report. After the meeting, you will want to share project documents. We used to share documents the “old fashioned” way, by making photocopies for everyone. Then we got smart and learned to distribute them through email. Now, we have another choice – SKY+. The FCU SKY+ system is a cloud program that we FCU students can use to save our data. If you have ever used Dropbox, you can understand this concept easily. The FCU SKY+ system provides all FCU students with 10 GB of free space for storing data (including videos, music, photos, and documents). This is more than twice the space you get with Dropbox. To use the new FCU SKY+, just follow these simple steps. 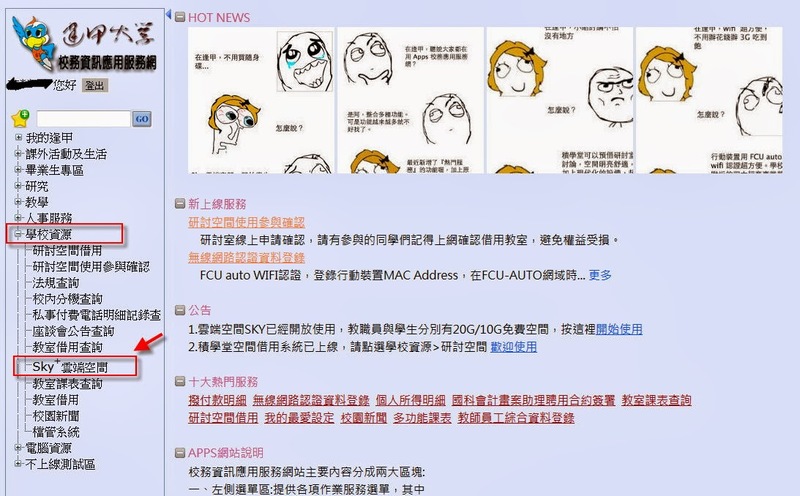 First, log into the FCU APPs system as described above and click “學校資源;” you will see “SKY+ 雲端空間” in the menu on the left. 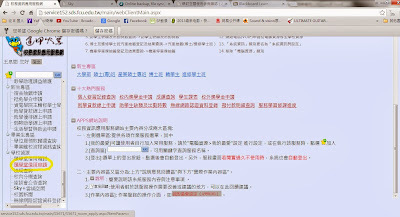 After you log on to the SKY+ system, you will see “上傳” (upload), just click it and chose the documents from your computer’s disk that you want to store and share with your team members. Then click the icon in the red box to share your documents. Then enter your team members’ student ID numbers, fill in the e-mail Subject line and click “傳送” (send). It’s just that simple. Your documents or folders will be sent to your team members immediately without even a second’s wait! Feng Chia University students say they are lucky to attend such a great school. 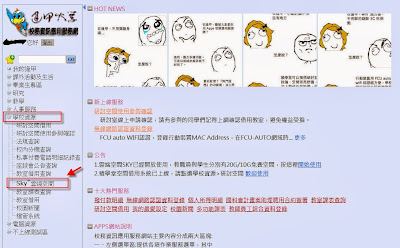 Now, they are even luckier because FCU has updated their APPs system to include some really useful functions. Students can now make online meeting room reservations and share important documents by using the FCU SKY+ cloud system. Both of these functions are extremely practical and easy to use, and they will no doubt help us show our teachers just how smart we really are!